Lawmakers have scuttled a plan to prohibit airlines from charging "unreasonable" fees for changing or canceling tickets. 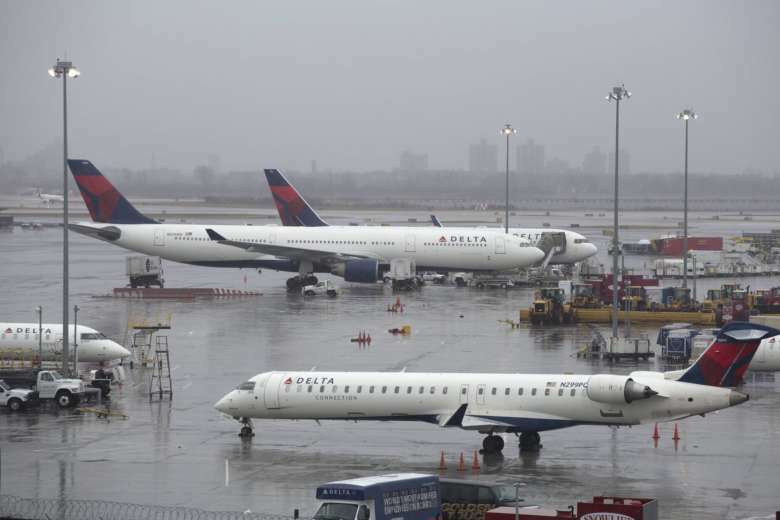 WASHINGTON (AP) — Lawmakers have scuttled a plan to prohibit airlines from charging “unreasonable” fees for changing or canceling tickets. But U.S. House and Senate leaders say they will direct the Federal Aviation Administration to set minimum dimensions for passenger seats as part of a new spending bill. The bill also prohibits airlines from removing passengers against their will from overbooked flights. Lawmakers were crafting a compromise bill over the weekend in an effort to meet a Sept. 30 deadline. Airlines opposed efforts to crack down on changes fees, which are as high as $200 per ticket. Last year, U.S. carriers collected nearly $2.9 billion in change fees. The Senate supported limiting those fees. But Democratic Sen. Ed Markey of Massachusetts said Saturday the provision was left out after negotiations with House lawmakers.